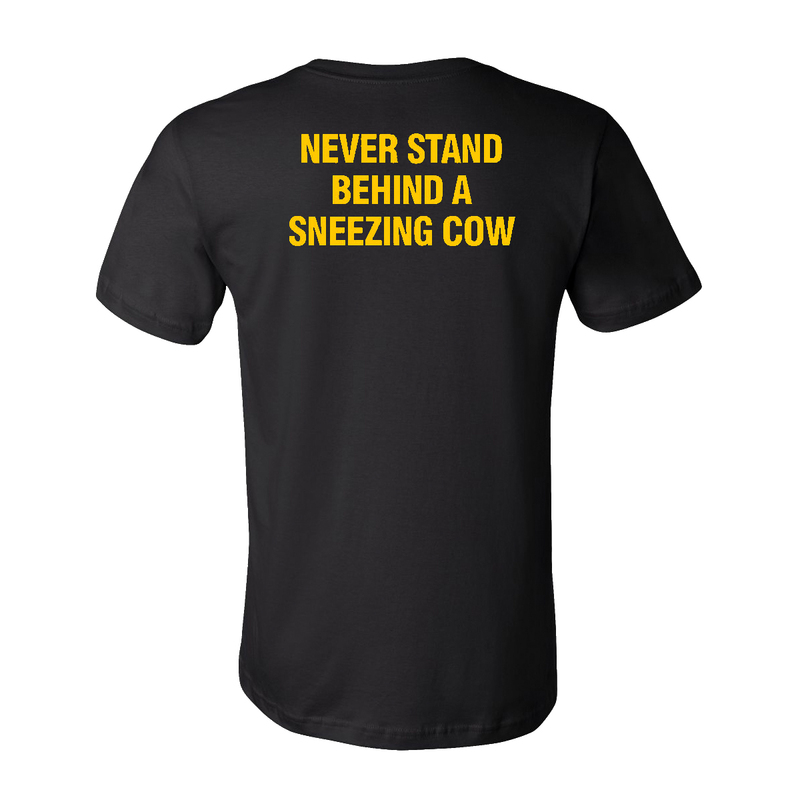 Due to high demand, we have rereleased the original “Never Stand Behind A Sneezing Cow” t-shirt. Printed on a 100% super soft cotton t-shirt. Unisex sizing and fit. 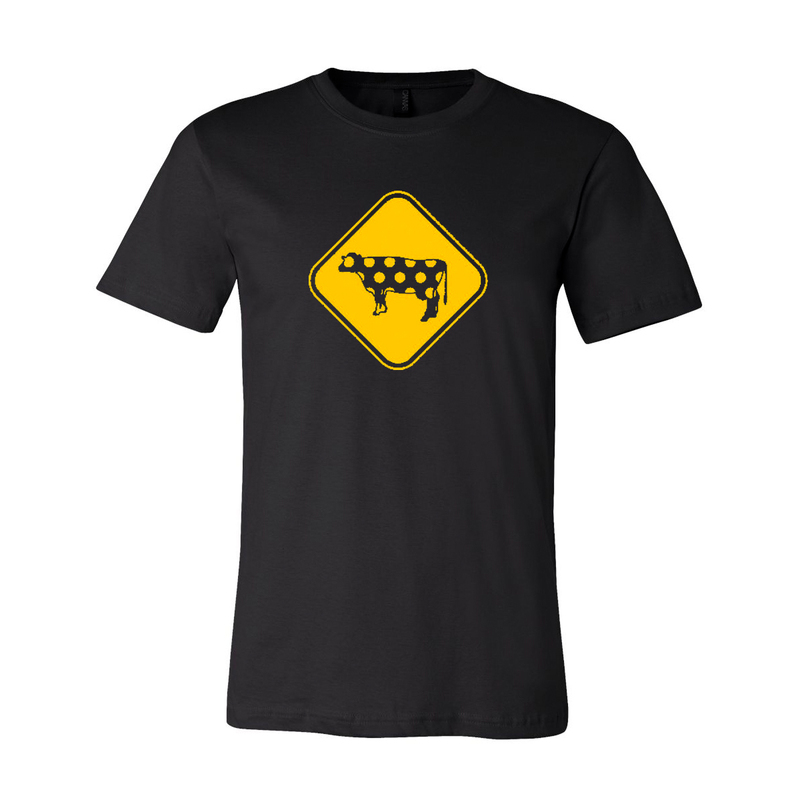 Get yours before they’re gone. Or before the cows come home.